At Hospitality by Design, we fully understand the unique needs of our partners’ distribution in the hospitality and healthcare industry. Whether it is for quaint boutique chain hotels or a full-fledged resort with hundreds of clients, we offer a huge selection of bedding products for all your aspirations. Our collections, are created by top designers who keep up with the latest fashion trends. Offered in a extensive variety of designs and styles, they will allow you to match windows drapes, bedspreads, bed-skirt, duvet covers, pillow shams and cushions to create your own room style. All are specifically developed to provide your guests a great night’s sleep at the utmost competitive price. 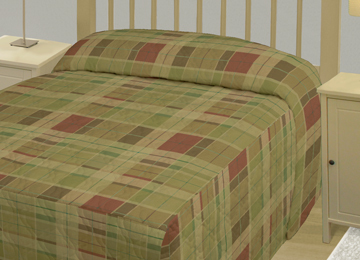 Our 100% bonded polyester bedding products are extremely long-lasting. Because of your needs as a sustainable business, we labored to make products that act as durable investments that add value to your business by reducing its costs of replacing or repairing older bedding. In this sense all our products are serious long-term investments that wisely reduce costs without sacrificing quality, aesthetics, or ease of use. We sell only to the hospitality and healthcare distributors, feel free to contact us for details. We are eager to forge a partnership ahead. © Hospitality by Design, all rights reserved.